For an amazing adventure, book an exciting excursion from Belize City. The largest city in Belize, Belize City is a major center for all types of tours, from eco-tourism jaunts to Mayan ruin explorations and thrilling cave tubing trips. Belize is famous for its exotic rainforest and Belize City is full of superior tour centers with a wealth of jungle tours to choose from, from the incredible thrills of zip lining across the rainforest canopy to incredible cave tubing tours. BelizeÂs incredible cave systems are notable not only for their natural splendor but for the evidence of their use in ancient Mayan rituals. On an unforgettable cave tubing tour youÂll be guided through caves cut by the Sibun River, floating on tubes through caverns lit only by the minerÂs headlamps worn by participants. The ancient Mayans believed the caves were the entrance to the underworld and many artifacts have been found amid the stalactites and stalagmites of the soaring caverns. A thrilling zip line tour offers an incredible adventure high in the rainforest canopy. While flying by zip about 150 feet from one platform to another participants can reach speeds of up to 40 mph. With platforms as high as 85 feet and distances ÂflownÂ as far as 250 feet, youÂll find your heart pounding as you come face to face with howler monkeys and exotic birds. The pretty little islands around Belize are idyllic spots for a beach break or leisurely snorkeling tour. Expeditions out of Belize City head to the tiny islet of GeoffÂs Caye where warm, shallow waters and pristine white sand offer a picture-perfect seashore getaway. Other tours set sail to lovely Ambergris Caye, home to island-style accommodations such as Exotic Caye Beach Resort. For a bit more adventure, guests can head to Shark Ray Alley in the Hol Chan Marine Preserve for some excellent snorkeling among the colorful reefs, docile nurse sharks and graceful stingrays. Expeditions include boat tours, picnic lunch and shopping. Tours of BelizeÂs incredible Mayan ruins are among the most popular excursions heading out of Belize City, and visitors have a wealth of these incredible ancient monuments to explore. Closest site to Belize City, Altun Ha dates back to 600 B.C. and was an important trading and business center until the end of Mayan civilization around 900 A.D. The Lamanai ruins are situated along the New River Lagoon and were occupied from 1500 B.C. until the 1800s, the longest recorded occupation of the Mayan era. 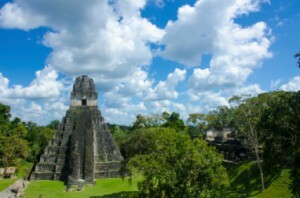 Among the hundreds of structures are numerous temples and a ball court; climb 125 feet to the summit of the highest temple for incredible jungle and lagoon views. Located in the lovely Cayo District of Western Belize close to the Guatemalan border, the Xunantunich ruins are accessible only by a hand-operated ferry river crossing and are almost completely excavated. Whether you're an adventurer, water-lover or history buff, you can find a Belize tour to make your holiday dreams come true.